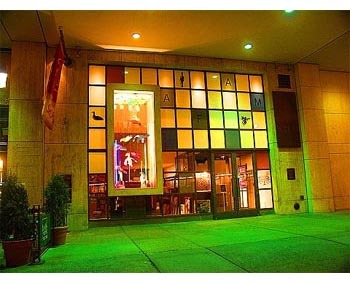 Discount parking for The American Folk Art Museum is available at the following locations. 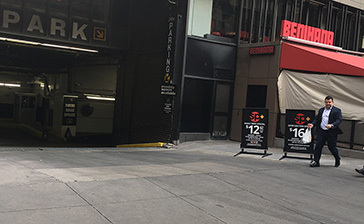 Click on a Parking.com location to print your NYC parking coupon with special discounted rates for any 6, 12 or 24 hour period. A parking coupon is required to receive these special American Folk Art Museum parking rates so be sure to bring one to the garage. The American Folk Art Museum, located in the Upper West Side of Manhattan, features artwork from the 18th century to the present. The collection highlights traditional and contemporary folk art created by self-taught artists. Nearby attractions include: Radio City Music Hall, Saint Patrick's Cathedral, MoMA and Rockefeller Center. Parking.com has convenient parking throughout the NYC metro area! Click to find more Midtown Parking or NYC Parking.